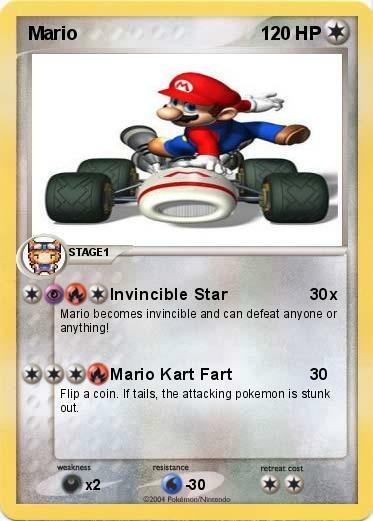 Mario becomes invincible and can defeat anyone or anything! Flip a coin. If tails, the attacking pokemon is stunk out.